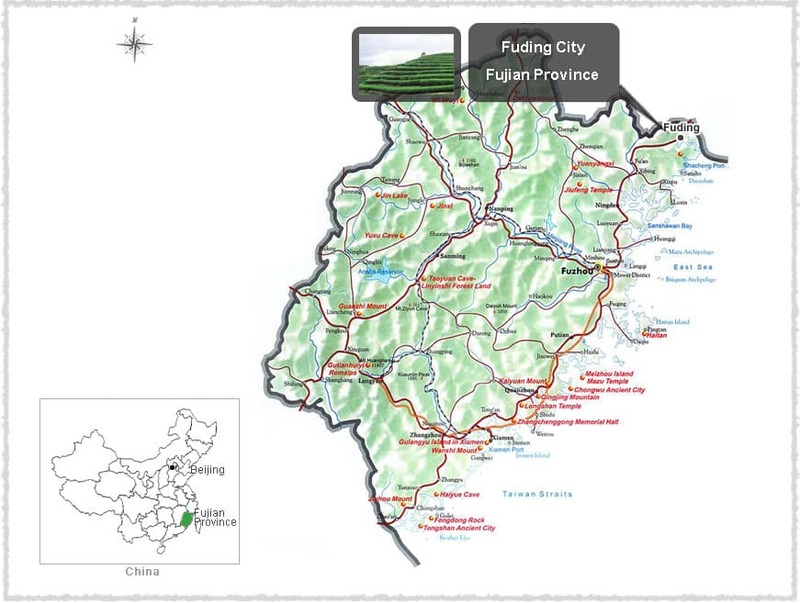 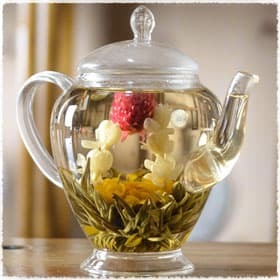 As the tea expanding, it looks like two dragons playing with a pearl. 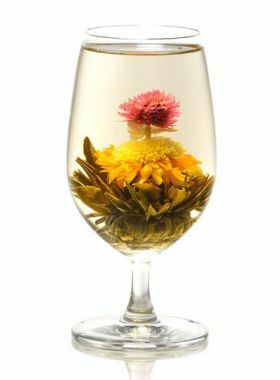 This blossoming, floral tea consists of high quality Mao Feng Green Tea, combined with colorful Globe Amaranth, cleansing Marigold, and calming Jasmine flowers. 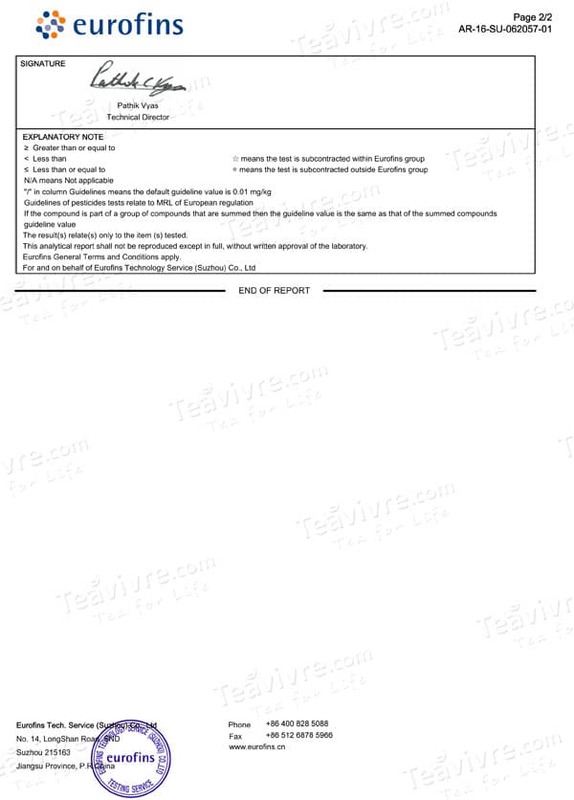 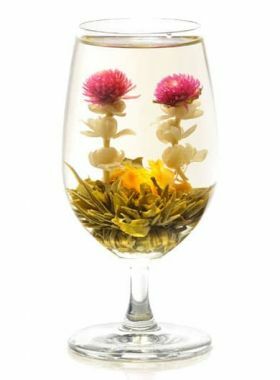 This tea observes its name “Two Dragons and Pearl” from the beautiful transformation that occurs when the tea is brewed. 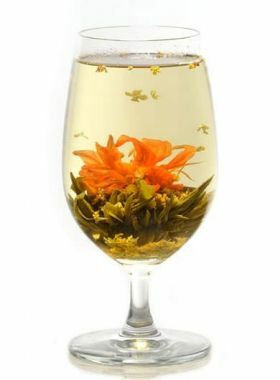 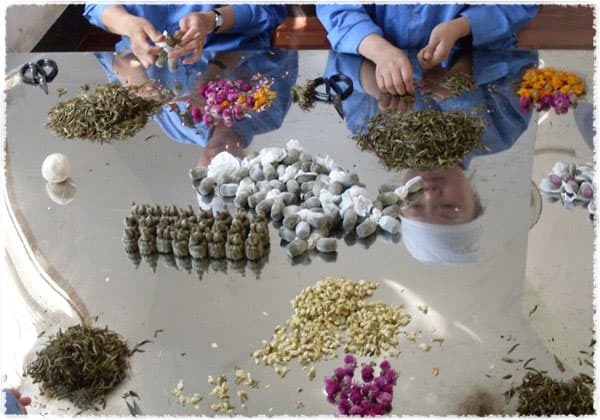 When the tea reaches its brewing temperature, the Jasmine petals expand as if they are two outreaching arms, cupping a single Marigold flower. 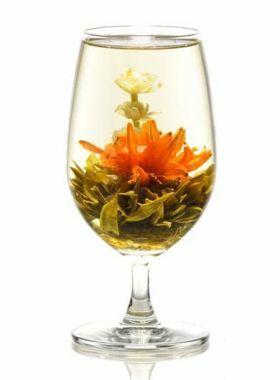 This unique tea has a sweet, floral scent and can be used for up to two or three brews, as it has a distinct and long-lasting taste.